When it comes to large screen indoor video walls & displays, one technology has ruled them all: LCD flat screen panels. However, that may be about to change. 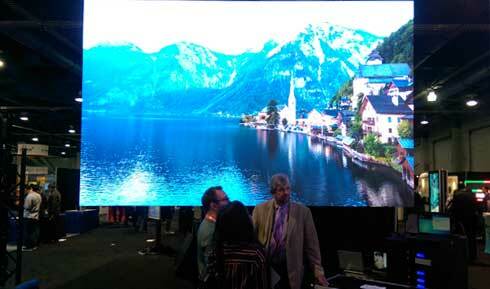 With the introduction of new, more affordable fine-pitch direct-view LED screen displays (and new high-ambient-light screens coupled with new solid-state laser projectors – which we’ll cover in another blog post), large LCD panels (above 100″) and video walls may have met their successor. Let’s take a look at what’s happening. 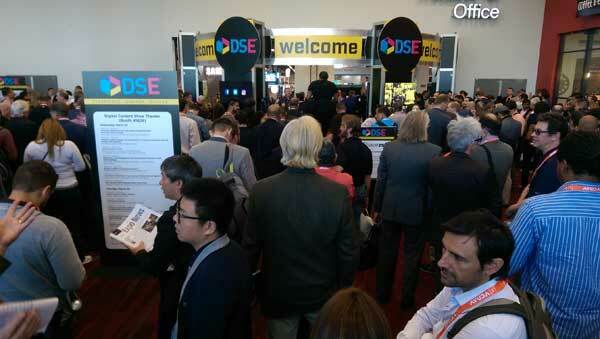 Shows like the Digital Signage Expo (DSE), recently held in Las Vegas, provide clues to the changing display landscape. First, let’s look at why traditional video panels, made up of several LCD panels with thin bezels and frames, have become popular. The main reason is simple: they have been the lowest cost, reasonable-quality way to do video and information displays in large sizes. You can see them as backgrounds in almost every newscast, in shopping mall displays, as command and control center dashboards, lecture halls, and even in some hotel lobbies.The newer video walls use LED panels as the light source behind the LCD glass – so they are reasonably reliable and their bezel thickness or window frame is rather thin(and they keep getting smaller). So why the need for a better solution? Let’s look at their disadvantages. 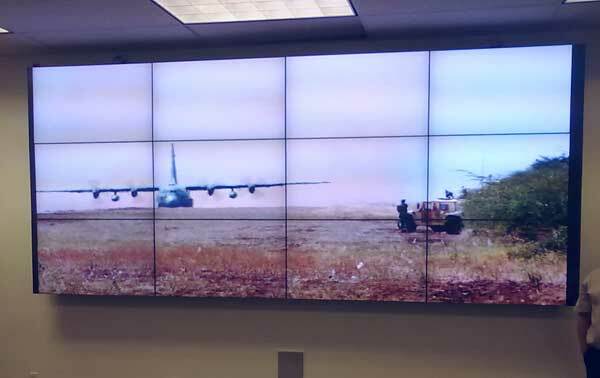 Traditional LCD video walls have bezel lines and challenges with calibration – as seen here. This display by Samsung, seen at DSE 2017, shows the beginning of fine-pitch direct-view LEDs in the upper left at 3mm. Typical outdoor LED billboards are 16mm or 20mm. LEDs are Not Always LEDs! Before we go into this next part we need to clear up a little confusion. The ads you may see for 4K flat screen TVs often just say 55″ or 75″ LED 4K TV. Those are not direct-view LED screens – those are LCD screens using white or blue LEDs as a light source for the LCD screen. That is also what is used to make most video wall11s – but those are special versions with very thin bezels. One of the challenges with LED/LCD TVs is that it is very difficult to get really high contrast (their blacks appear milky) and high light output (nits). The LED screens we are talking about here are red, green, and blue self-emitting Light Emitting Diodes or direct-view LEDs. 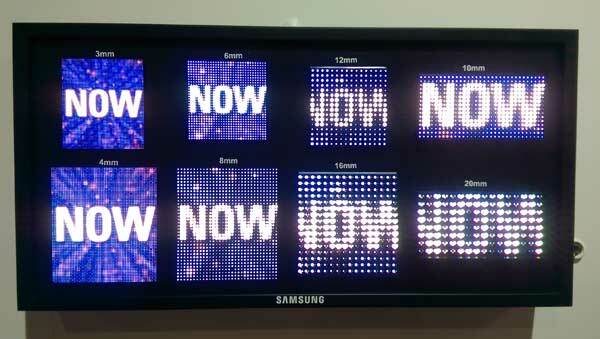 We now have direct-view LED screens (indoor, fine-pitch) that have dot pitches under 1 mm. When the individual LEDs are off, they can have almost perfect blacks – unlike LCD which always has some back light scatter which displays as imperfect blacks. 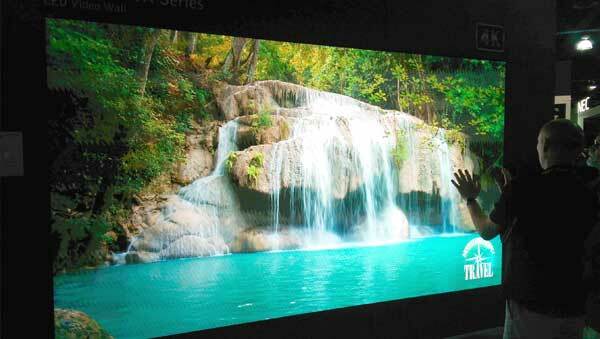 That means that LED screens can now have very high resolution, very high contrast, and very close viewing distances. We are finding that many in the industry (traditional AV dealers) are not aware of this new trend of migrating to new fine-pitch direct-view LED displays – or are not even aware of the new price levels that are now available from some core LED manufacturers. It seems that almost every major manufacturer of flat screen panels is very aware of this migration – hence the presence of these displays in almost all of their booths at the Digital Signage Expo (DSE) this year. Unfortunately, those same manufacturers are the ones that could be left with a lot of LCD inventory if they do not keep up.